While I was working on Stunning Stitches, I became slightly obsessed with feather-and-fan stitch patterns. Feather-and-fan is so fun to knit, isn't it? I included it in the Bampton Set too (more on that next week), but today let's talk about Violetear. First up, it's the Violetear Infinity Scarf. 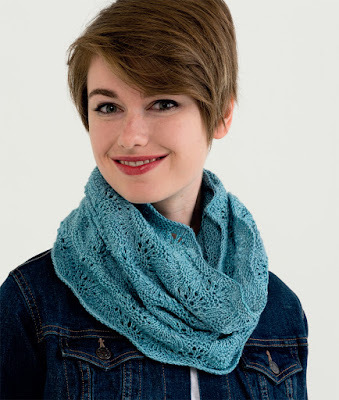 A simple cowl, written for two sizes. The larger one is shown here. 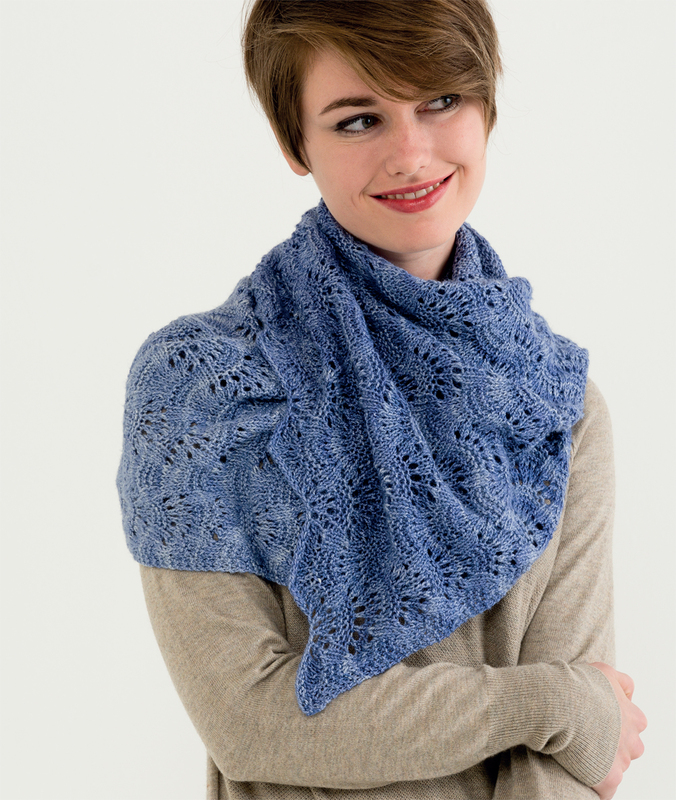 Then there is the Violetear Cowl. It's worked just like my new Vauhti pattern. It's worked flat and then a small seam is added to turn it into a cowl. 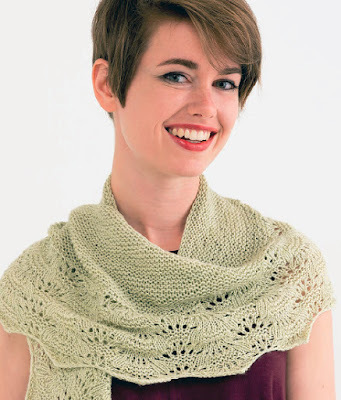 I love that you can wear it in such a way that is almost looks like a shawl! And then there is the Violetear Shawl. My favorite pattern in the book. 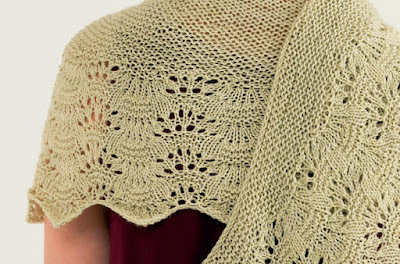 I love everything about this bottom-up short row shawl. I might need to knit another one (or 12). Seriously. I started this shawl and couldn't put it down. 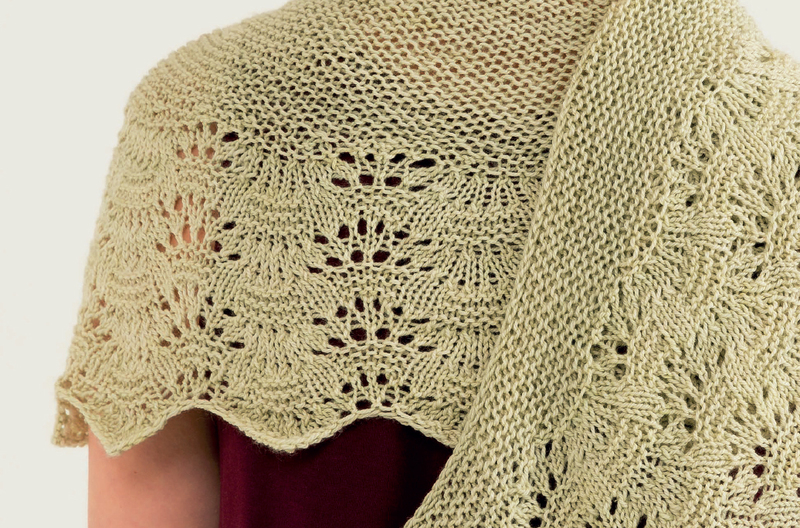 You all know garter stitch and lace is one of my all-time favorite combinations. There's just something about this particular combination with the feather-and-fan stitches that makes me so happy. Want to see more of the patterns from the book? Check out the Ravelry pattern page for the book!